Columbia SC mosquito misting systems for commercial applications | Fight the bite! What bugs do you want to kill? 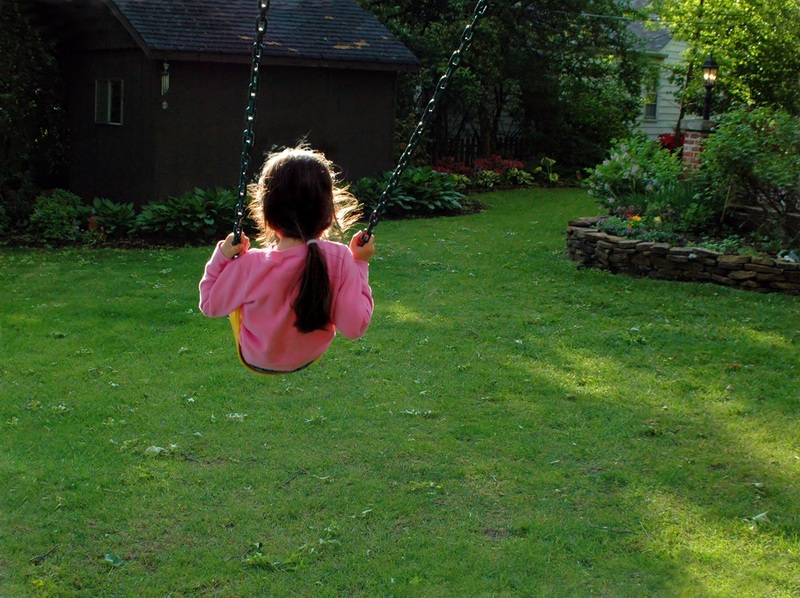 Enjoy your mosquito free backyard courtesy of Mosquito Squad of Columbia. With the wet spring and early summer we’ve had, the mosquitoes are out in full force. Mosquito Squad of Columbia’s motto is “fight the bite” and we have many ways we go about doing so. Our barrier spray program is highly effective at eliminating mosquitoes and ticks. Another effective treatment method is our misting systems which provide the ultimate in mosquito protection. Details view of one of our misting system tanks. Depending on your situation, an automatic misting system may be an excellent choice for your mosquito control needs based on providing total control. The system works by emitting a fine mist around a designated area for mosquito elimination. 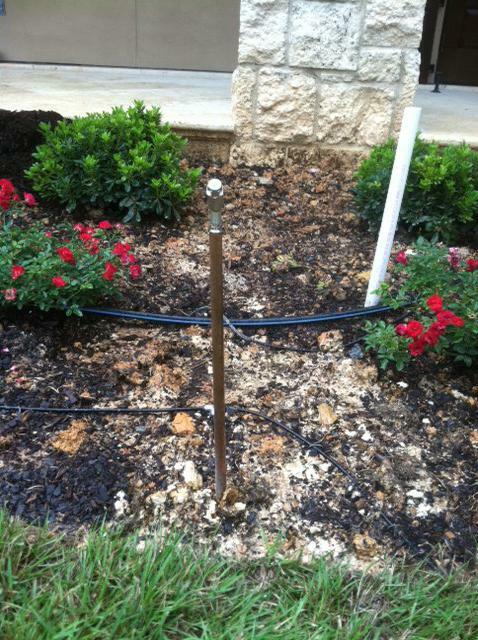 Nozzles for the spray can be installed on fence lines or around the perimeter of the home to protect the entire yard. Alternatively, nozzles may also be fitted to parts of your outdoor living areas. 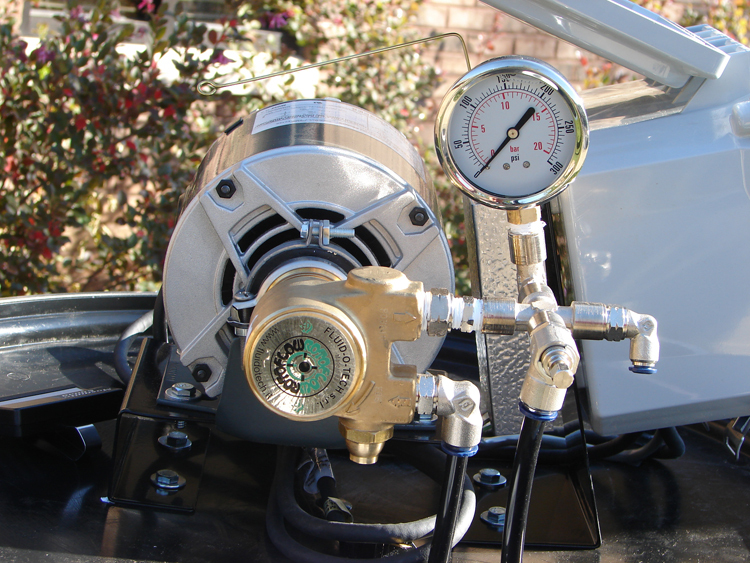 Each nozzle is attached to tubing that leads to the system’s product supply. As programmed, the fine mist is automatically released providing you with the protection your family needs. Easily adjustable, you can choose how many times your yard is misted each day which is typically between two two four times. The system also has a remote control allowing you to opt for additional or fewer sprays to suit your needs. The misting system component consists of inconspicuous nylon tubing that connects strategically placed, corrosion-resistant nickel-plated stainless-steel nozzles. The best part is that the unit is automatically filled, serviced and winterized by Mosquito Squad of Columbia so you never need to lift a finger. One of our mosquito misting systems set up in a residential application. Mosquito Squad of Columbia’s misting systems are used in residential, light commercial, and barn installations. We have the ability to customize our product dependent on the pest we are going after in your individual situation. We set the misting systems to spray during the times when the mosquitoes are most active which is generally dusk until dawn. Our misting systems are also a favorite among horse owners and are widely used in horse stable settings to control both flies, horse flies and mosquitoes. Protect your family, your horses and your investment from flies, mosquitoes and mosquito born illness with automatic mosquito misting systems. For horse owners and enthusiasts our automatic misting systems pack a punch by controlling mosquitoes that could potentially infect your beloved equine with Eastern Equine Encephalitis and also protecting them from nagging flies. When we install our systems for use in barn settings we install one spray head per 12 foot stall. These are set to disperse at variable times throughout the day for maximum control. Unlike the residential application which primarily targets mosquitoes and is set to disperse during the dusk to dawn hours, our barn misting systems primarily target flies which are more active during the day. Our special formula is designed so that flies cannot develop resistance thereby rendering the treatment ineffective. Resistance to fly sprays is a major concern for horse owners because flies can evolve so quickly so that your fly control will no longer be effective. Our automatic mosquito misting systems are the closest thing to perfection you can get! With the growing awareness of mosquito-borne illnesses, it’s also nice to know you have a solution you can depend on. Mosquito- and tick-borne illnesses are certainly something to keep in mind. Some of these diseases include West Nile Virus, Encephalitis, Rocky Mountain Spotted Fever and Lyme disease. Not many products can offer complete control of mosquitoes, but our automatic mosquito misting systems come as close as you can get. For this very reason people are choosing automatic mosquito misting systems because it delivers 95% plus effective mosquito control. Our barrier sprays work wonderfully, and they offer 85% – 95% control in a treated area, but the misting system is the closest thing to perfect any method can get. Automatic mosquito misting systems are used in residential and commercial applications. They are a favorite among horse owners and are widely used in horse stable settings. The misting system is a favorite in residential settings and delivers homeowners the optimum mosquito control available. Our systems release an automatic spray at scheduled intervals. The system eliminates mosquitoes within the treated areas. Our automatic mosquito misting systems are the closest thing to perfection. When we install the automatic mosquito misting system in residential applications our prime target is mosquitoes. 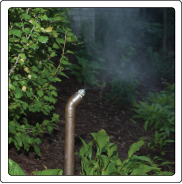 Our residential misting systems are generally installed in your yard or on your grounds. They are placed to mist away from your plants and foliage. This precise placement means when the mosquitoes attempt their late afternoon ritual of emerging from their harborage, our misting system will be ready to greet them. Our misting system will target the mosquitoes as they run through the mist and are thus eliminated on the spot. We set the misting systems to spray during the times of day when the mosquitoes are most active. These times are generally dusk until dawn approaches. The system is set to mist 2 -4 times during those peak mosquito hours. 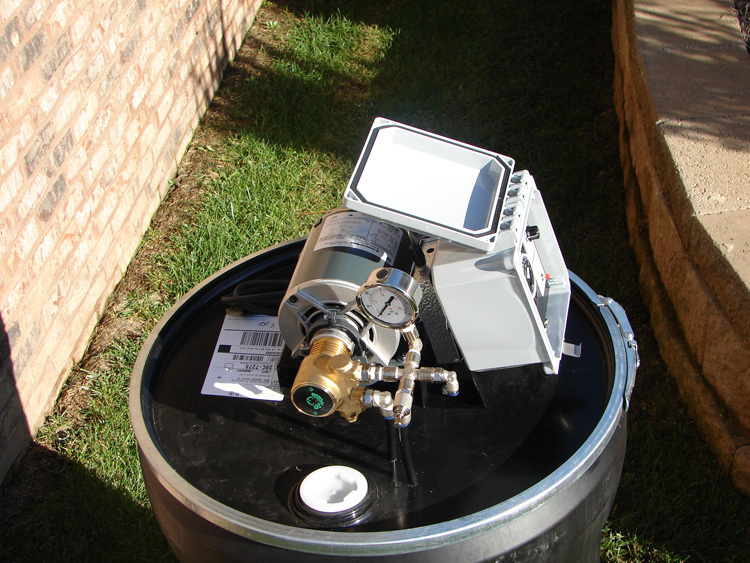 Homeowners will also be given a forward operating base (FOB) which enables them to activate the misting system anytime they need an immediate treatment. It is the same concept as having a remote control for your TV but this station only tunes into the mosquito control channel! The system itself consists of inconspicuous nylon tubing which connects to corrosion-resistant nickel-plated and stainless steel nozzles. The nylon tubing can easily be placed in strategic areas and kept out of view. Each nozzle is automatically filled from the Mosquito Squad tank that is serviced and winterized for the utmost convenience which means you don’t have to lift a finger and mosquitoes stay out of sight and out of mind. We recently completed an installation of our automatic misting systems at an estate home located on Lake Murray, SC. The homeowners are ecstatic about the convenience our system offers. Our systems are automatic and don’t require any labor on your part. This image shows the details and placement of the elements of the misting system. We installed one sprayer for each stall in this horse barn in Camden, SC. South Carolina is horse country. Many people not only enjoy the lifestyle that owning horses provides, many of our residents make their living in the horse industry. From show barns, to training facilities and even barns that are designed to hold the ultimate pasture pet, horses are a big part of what makes South Carolina a great place to reside. Winston Churchill once said that “There is something about the outside of a horse that is good for the inside of a man”, and with that in mind horse owners want to protect their beloved steeds from not only mosquitoes which can carry the deadly Eastern Equine Encephalitis, but also the nagging flies that haunt our horses every day. Our automatic mosquito misting systems not only control skeeters, but they also control flies. 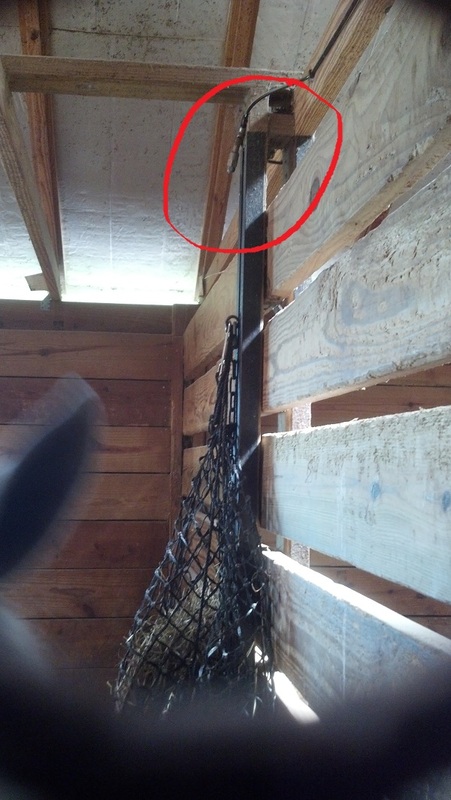 When we install our systems for use in barn settings we install one spray head per stall. These are set to disperse at variable times throughout the day for maximum fly control. Unlike the residential application which primarily targets mosquitoes and is set to disperse during the dusk to dawn hours our barn misting systems primarily target flies which are more active during the day. Our special formula is designed to attack flies in a different way than most fly repellents. Our product leaves the flies no chance to evolve and become resistant. Resistance to fly sprays is a major concern for horse owners because flies can change their makeup so that your fly control will no longer be effective at repelling flies. This cannot happen with our misting systems. Mosquito Squad of Columbia just finished a large installation of automatic misting systems at a horse barn in Camden, SC. In this application we set the system to disperse at various times throughout the day for optimum protection. 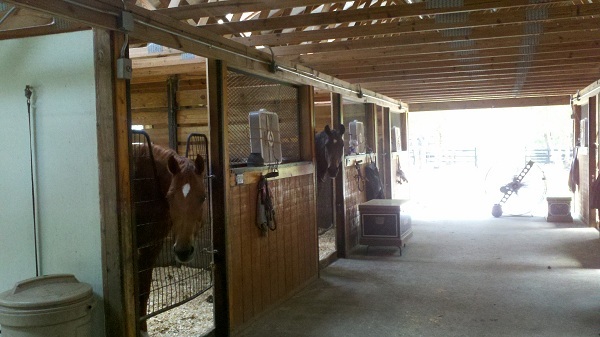 Each stall has its own misting apparatus which is safe even if the horses are present when the misting system goes off. We carefully position the spray heads away from any of the horse’s food sources. The owners of the barn as well as the horses are thrilled with the new system. 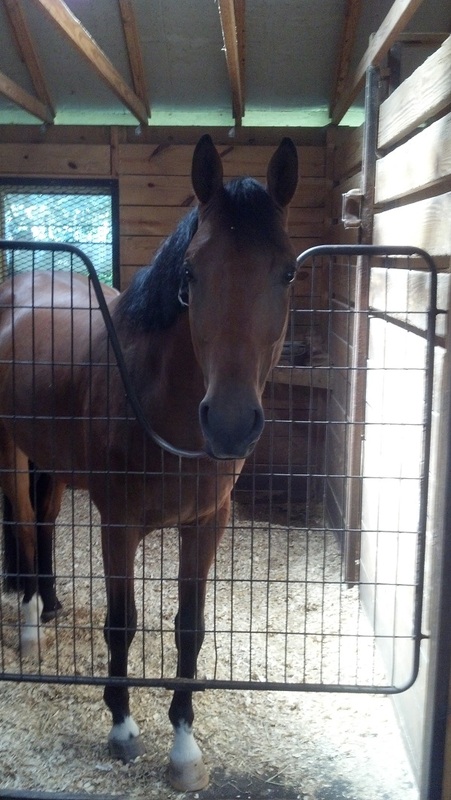 The owner said the horses seem eager to go into the barn to get into their fly-free stalls. Even the horses at this Camden, SC stable know that automatic mosquito systems make good horse sense to keep them happy and healthy! The residents of this horse stable in Camden, SC are glad to see the crew from Mosquito Squad of Columbia arriving to put an end to their fly woes. Post categories Select Category Asian Tiger mosquito Barrier Sprays Beneficial mosquito eating animals native to S.C. Canine Lyme disease Chikungunya Cicada Killer Wasp Columbia SC tick control Customer service Deer tick Dock Spider Removal Dog tick Dread Skeeter Eastern Equine Encephalitis Event Sprays Fire Ant Control Flea control Fly control Fly control for horse barns Free Columbia termite inspection Gallinippers the giant mosquito Gardening Gnat control and education Heartworms Insect-borne pet diseases and illnesses Larvacides Lyme disease Lyme Disease Awareness Month Malaria No More Mistaway Mosquito Misting Systems Misting systems mosquito control Mosquito Control Awareness Week Mosquito Control for horse barns and stables Mosquito-borne diseases MRSA Nuisance pest control Pest Control Pet Protection Powassan Virus Preventing mosquito bites Reduce mosquito breeding grounds Reducing the threat of mosquito-borne illness and disease Reducing the threat of tick-borne illness and disease Reviews and testimonials South Carolina Mosquito Control Association Special event sprays Spider control Tapeworms termite control Termite Guarantee Termite Prevention Termite Protection Termite Service Termite Treatment Tick control and prevention Tick Tubes ticks Uncategorized Wasp Control Wedding and special events West Nile Virus Why are My Crape Myrtles Black?